US: The Wisconsin Coastal Management has granted a monetary aid to UW-Madison’s Forest Landscape Ecology Lab (FLEL) and the State Cartographer’s Office (SCO) to develop Wisconsin’s historic coastal geospatial database and portal, focusing on the Wisconsin Land Economic Inventory (WLEI) maps, also known as the Bordner Maps. 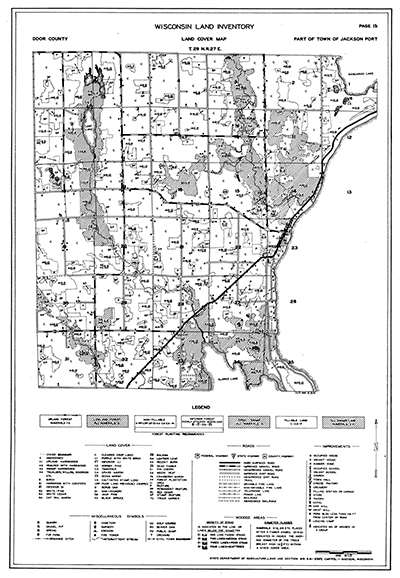 The WLEI was a comprehensive, detailed mapping program of all Wisconsin counties (except Milwaukee) completed in the 1930s and mapping over 100 classes of information at every quarter-mile, including forest type, agricultural use, wetlands, and a host of natural and cultural features. The project has two main goals. The first is to complete digitization of the Bordner maps for Wisconsin’s coastal counties. This work is being done at the FLEL under the supervision of Professor David Mladenoff’s team. Approximately one-third of the state is already digitized, including much of the Lake Superior coastal area, thanks to funding from the UW-Madison College of Agricultural and Life Sciences and the UW-Madison graduate school. At present the only digital representation of the Bordner maps available online are scans published by UW-Madison Digital Collections. The second goal of the project is to develop a coastal geoportal to facilitate distribution and use of the digitized data. 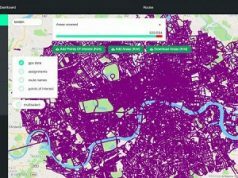 The portal will provide discovery and retrieval of data, as well as visualization and mapping using pre-defined map design templates to accommodate the needs of a broad set of users. This work is being carried out by the State Cartographer’s Office. The project will require outreach to the coastal planning and management community to help identify and prioritize options for map composition and display. Additional information on outreach opportunities will be available on the SCO website in the near future. 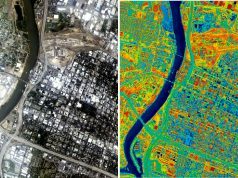 Coastal communities require a variety of geospatial data for planning and activities, and historical geospatial data can be an important resource. For example, wetlands and other restoration projects can benefit from an understanding of the land use history of the site. Historic shorelines, hydrographic features, and areas of erosion can have important implications for assessments of coastal change. Information about cultural features such as buildings, trails, and camps can help inform the cultural history of coastal areas and identify preservation priorities. But because historical geospatial data is not widely available, coastal planners and managers have only begun to scratch the surface of how such data can be used. See the box below for other examples of historic coastal geospatial data applications. Ultimately the project team envisions other layers of historic data being added to the portal, such as historic aerial photographs from the 1930s, and the Government Land Office survey notes and maps from the early 19th century. The project runs through the end of June, 2017.